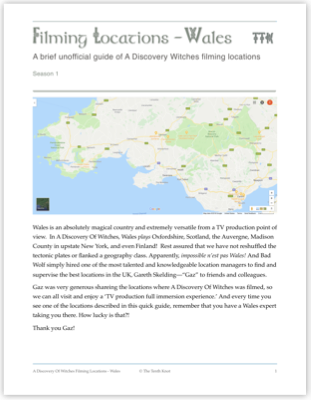 • A Discovery Of Witches will premier on September 14 on Sky One in the UK. • In the US, it will be available on streaming platforms, Sundance Now and Shudder. Later on Instagram, Sundance Now wrote that the series would air in early 2019. The producers and cast were the same that had previously spoken during the panel in Hall 20: Deborah Harkness, Lachlan MacKinnon, Teresa Palmer, Alex Kingston, Valarie Pettiford, and Owen Teale.